Sound Healing is an effective and proven modality that uses vibrational (frequency) of sound to help reduce stress, alter consciousness and create a deep sense of peace, well being. In modern medicine, we are currently use sound frequencies for diagnosis as ultrasound to help detecting the abnormality. Sound as frequency or vibration that influences the water element throughout the body, thus mainly the circulatory system and generate a better vibration. During our waking state, the normal frequency of our brain waves is that of Beta. Sound tools entrain the brain to move into the deeper Alpha and Theta brain wave frequencies. These are the frequencies that induce deep meditative and peaceful states, clarity of mind and intuition. Modern medicine can now measure and thus confirm the practice of sound as a means to promote healing. Thus, sound is a type of energy medicine that creates the silent space which people can heal from stress disorders, pain, depression, and emotional tension, creating a true body, mind, spirit connection so vital to natural healing. It is an integral part of healing the effects, after sessions clients experience improved memory, clarity, vitality and the ability to take action, including a deep sense of tranquility and promoting better quality of sleeping. Sound Healing is an effective and proven modality that uses vibrational sound to help reduce stress, alter consciousness and create a deep sense of peace, well being and better health. Sound has also been shown to be a vital part of the healing process for cancer patients undergoing chemotherapy and side effects especially for pain relief management. Course included: Anatomy to Subtle Energy and Chakras, Understanding the Brain Waves, Positive Thinking and concentration, Self Healing, An approach of Sound healing and sound massage. 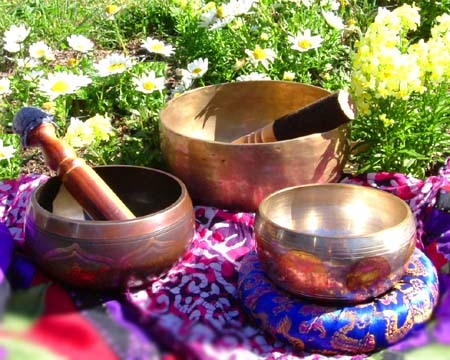 Experience the vibration of sound, with singing bowl that guide you to deeper state of relaxation and allowing this sound frequency to vibrate the body subtle energy to be energize and align as its own body pace, you will be guided to opening your heart and expand your own loving and kindness vibration to your own harmony. Previous PostPrevious Vibration of today !